Customizable Cast-On abutments | LASAK Ltd. 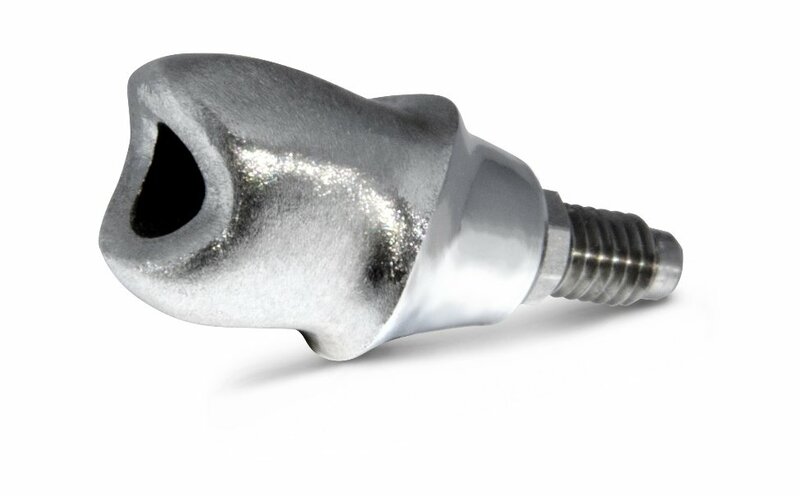 The LASAK Cast-On abutment is an universal easy-to-process solution for implant-supported restorations. Our Cast-On abutment offers a cost-effective option for castable abutments made from gold alloys and is available for all major implant systems. It gives the technician maximum flexibility for customized contouring of the abutment and gingival emergence profile in accordance with individual requirements. It is suitable for cement-retained as well as screw-retained restorations. The Cast-On abutment enables prosthetic restorations even in the case where usual system abutments cannot be used – as is in too deep soft tissue, an incorrectly aligned anti-rotation element, individual requirements for abutment angulation or emergence profile. The Cast-On abutment consists of a prefabricated, cobalt-chrome, nickel-free alloy base, a plastic modeling sleeve and a fixing screw. Usual modeling wax adheres easily to the modeling plastic sleeve. Cast-On abutment is available for implant systems LASAK BioniQ, IMPLADENT, AstraTech, NobelActive, NobelReplace, Straumann Bone Level and synOcta.